The term broadloom is defined as carpet that is woven on a wide loom, and it generally refers to tufted carpet that is installed wall-to-wall. Broadloom is sold on rolls that are standard width. They are usually 12 feet wide, but can also be 15 feet or 13 feet 6 inches wide. Historically, carpets were hand woven on looms, so the term ‘broad loom’ literally meant a loom that was wider than the average loom size, and used to make a large carpet. A loom is a device that is used to weave fabric. For hand weaving, it holds in place the fibers running in one direction, so that the fibers going in the opposite direction may be interwoven. As mentioned above, broadloom is made into rolls of a standard width (whichever width the manufacturer chooses). These rolls are typically approximately 150 feet in length. Broadloom is sold by either square yard or square foot in North America and may be sold by square meter in countries using the metric system. Although Canada generally uses the metric system, it widely uses imperial measurements in the floor covering industry. One yard equals three feet, so a square yard (3 feet by 3 feet) contains nine square feet. Historically, carpet was almost always sold by square yard. However, hard surface flooring such as hardwood and tile are sold by square foot; so the carpet industry has largely converted to square foot pricing in order to streamline the options. Broadloom is most often sold for the purpose of being installed wall-to-wall. In residential homes, it is usually installed over an underpad. In commercial applications, it may be glued directly to the floor. Because the broadloom comes in a specific width, installation can be tricky if the room is wider or narrower than the carpet. For rooms that are wider than the width of the roll, two or more pieces of broadloom will have to be seamed together. 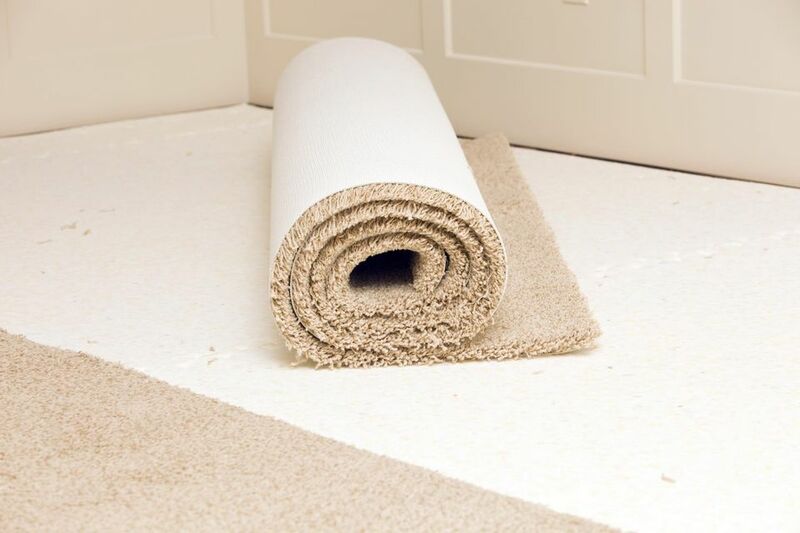 For rooms narrower than the width of the roll, the carpet will need to be cut down to the appropriate width. While doing so is not difficult, it usually means that the extra amount being cut off must still be purchased. For example, in order to fit broadloom in a room 10 feet by 10 feet, one would need to purchase a piece of broadloom that is 10 feet by the width of the roll. So, for a broadloom sold on a 12-foot roll, the purchaser would have to buy a piece of carpet that is 12 feet by 10 feet. Sometimes, for rooms smaller than the width of the broadloom, a carpet remnant may be found that is closer to the size actually required. Broadloom does not have to be fully installed wall-to-wall. It can be cut to a certain size and finished along the edges to prevent fraying and used as an area rug or carpet runner.